1. Is it necessary to use the Software, MP3 Audio & app versions together? No, all format versions work extremely well on their own. Which you use depends on how you personally prefer to learn and your lifestyle. For example, if you travel by car for two hours a day, then the MP3 Audio version might suit you best. If you like the way the text is presented on the computer, then the software version may suit you best. If you often have your mobile or tablet with you and want to study in those commuting or ‘down-time’ moments then one our apps will likely prove very handy! Many people find it useful to use two or more combined, so for example, they go through the course on the computer and / or mobile app then revise using the MP3 Audio course. 2. How far does each level take you? Level 1 assumes you are a complete beginner, but after 10-12 hours you should have a vocabulary of 300-400 words and enough basic grammar to communicate in many situations you will meet abroad. Level 2 takes about 12-14 hours and increases both the extent of vocabulary to about 700 words and increases the complexity of the grammar, particularly verbs. Levels 3 and 4 each take about 24 hours to complete, and after you have finished level 4 you will have covered a vocabulary of about 1200 words and covered all the major grammar for GCSE. 3. Are the courses suitable for holidays, moving abroad, business and just learning a language for fun? For holidays, even getting to the end of level 1 will help enormously to make yourself understood and to understand in for example, emergencies, shopping, eating in a restaurant,travelling etc. For moving abroad, levels 2,3 and 4 will go much further in helping you cope with living in the country and conversing with business associates. 4. Is it a school GCSE course? Levels 1-4 of the major languages, French, Spanish, Italian and German are a very strong back up for GCSE, as it covers all the major grammar points for GCSE as well as giving a vocabulary of 1200 words. Published results indicate that after 4 years of school language learning, the average pupil has a vocabulary of about 800-900 words. 5. If I don’t like it once I have ordered it, what can I do? There is a 60 day money back guarantee on all our products. If you order disks, you must return them. If you have downloads you must remove them from your computer. Then we will refund in full. 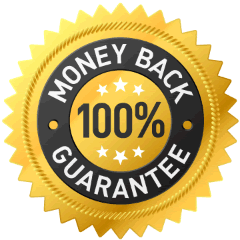 We get less than 1% of customers asking for a refund, so we have no problem offering this guarantee. 6. Why are there no actual pictures of the images? There is strong evidence that the more effort learners put into processing incoming information, the longer will the material be remembered. By asking learners to make the effort of picturing the images in their mind’s eye, much more effort is going into the processing of incoming information than is the case of looking at a picture. There is also the danger of passive learning as the learner gets tired. In any case the published evidence is that making learners create their own pictures of the images we give, can lead to the learning of up to 400 words in 12 hours.